Delivery O2O (Online to Offline) service called ‘Line Delima’, which is launched by Naver’s subsidiary called Line in Japan, has gained more than 1.5 million users since it was launched 50 days ago. Line got the green line in its plan to target global delivery O2O markets as its service is moving along smoothly in Japan followed by Thailand. Line is also working to accelerate the progress of becoming a ‘Smart Portal’, which was proposed as the goal of Line. According to Naver on the 20th, number of members of Line Delima surpassed 1.5 million by the end of the 14th. It had been 50 days since Delima was launched at the end of July. 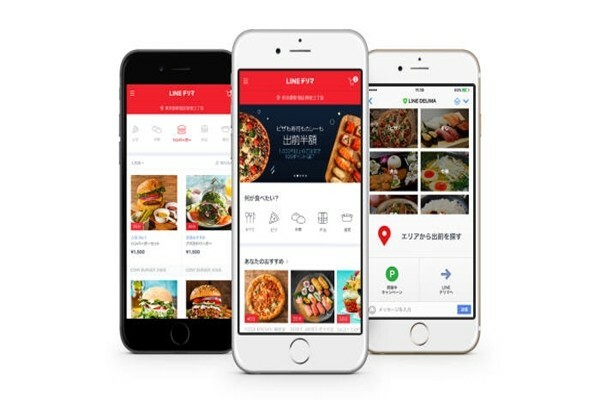 Line Delima is a delivery service that allows one to easily make an order through its mobile messenger and it looks for variety of menu such as pizza, sushi, and curry depending on food type, store, and time. One can also look for food that he or she wants to eat through a form of conversation by using Line’s official account. Whenever an order is made, ‘Line Point’ is accumulated which then can be replaced as 1 yen ($0.0089). Line Delima allows one to easily search and order food from 14,000 stores in Japan and it has members from every parts of Japan. About 70% of members are from regions other than Tokyo. It is calculated that 40% of entire members are in their 20s while 70% of entire members are females. Line is planning to build its position as a mobile delivery platform in Japan followed by Thailand. Line launched delivery and errand service called ‘Line Man’, which is based on two-wheel vehicles, in Thailand in May of 2016. Although it is a separate application unlike Line Delima, it can be interworked by using a Line ID. It has emerged as the number one deliver O2O service in Thailand as it has more than 500,000 people using it on a monthly basis in just one year removed from its launch date. It is connected to about 30,000 restaurants in Bangkok and nearby regions. Line is going to accelerate the process of making itself as a ‘Smart Portal’ based on its popular delivery services. Smart Portal is the direction that Line wants to ultimately develop into and it is supposed to connect everything such as person, information, contents, and services from daily lives without any disconnection through online and offline. Its plan to restructure current news tab into a ‘portal tab’ that has variety of contents is also parts of its strategy. It is also going to promote Line Delima as a ‘deliver platform’ that takes orders and delivers variety of products such as fresh food, daily necessities, and medicines and medical supplies on that very day.